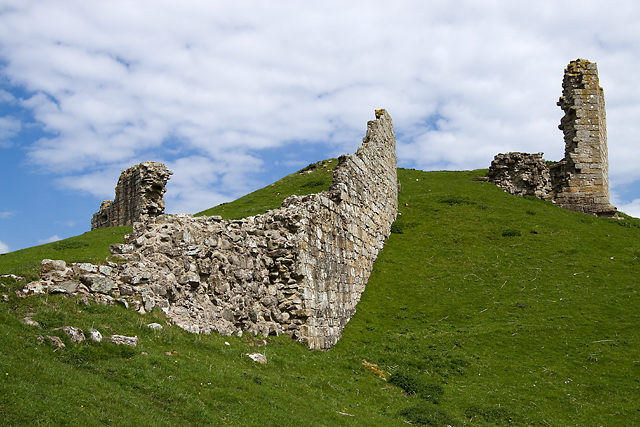 Harbottle Castle is a ruined Normal castle which overlooks the village of Harbottle, by the River Coquet in Northumberland. 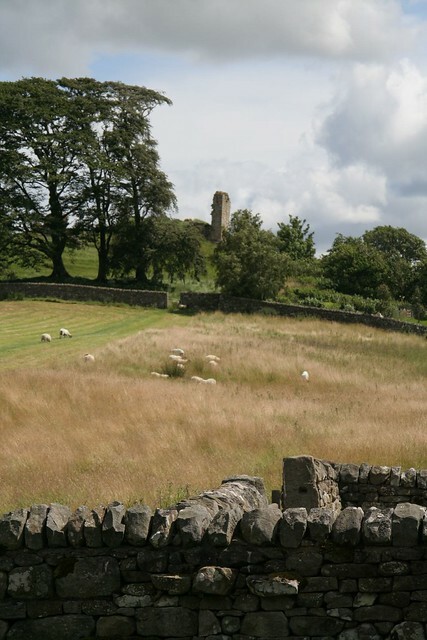 It is a Scheduled Ancient Monument and a Grade 1 Listed building. It is thought that the mound on which the keep stands was a site used by the ancient Britons and that in Anglian times there was a stronghold on the site held by Mildred, son of Ackman. 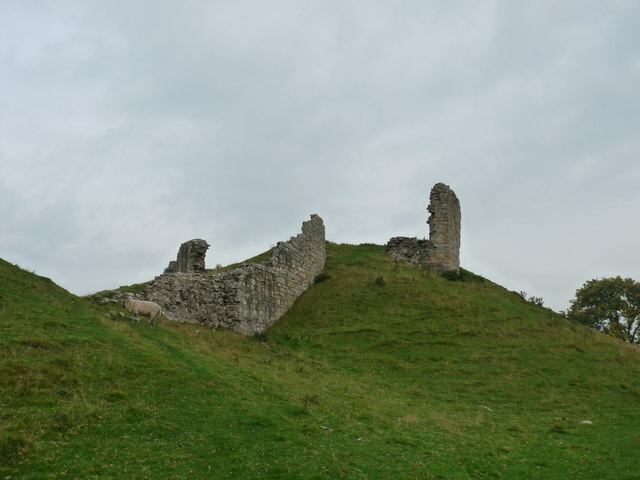 The present castle was built about 1160 by the Umfraville family at the request of King Henry II on land awarded to them following the Norman Conquest, presumably as a defence against the Scots. Not long after its erection, in 1174, it was taken by the Scots and was then rebuilt more strongly. 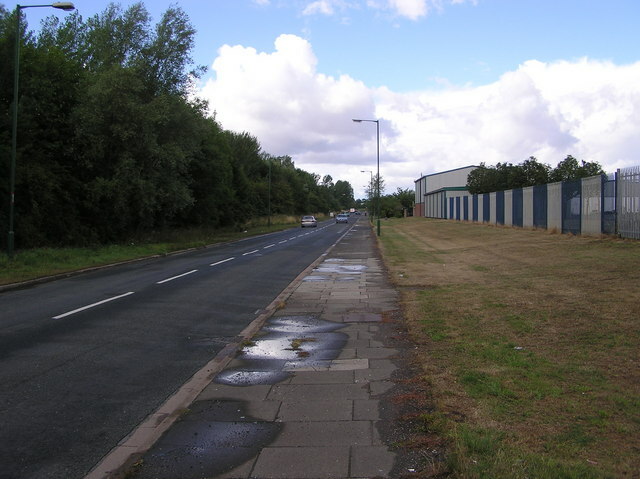 In 1296 it was besieged by Robert de Ros and some 40,000 men , but the siege was withstood. In the 1310s Robert the Bruce captured the castle. It was restored in 1336, but in ruins again by 1351. 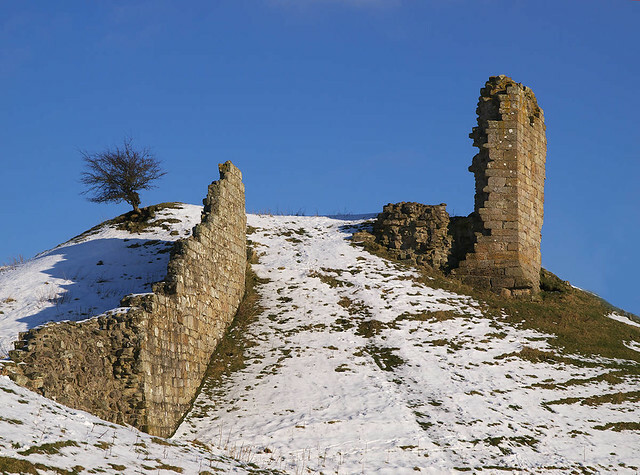 It was repaired at the end of the 14th century and in about 1436 the castle passed into the hands of the Tailleboys. It was for a long time the residence of the Warden of the Middle Marches and used as a prison. 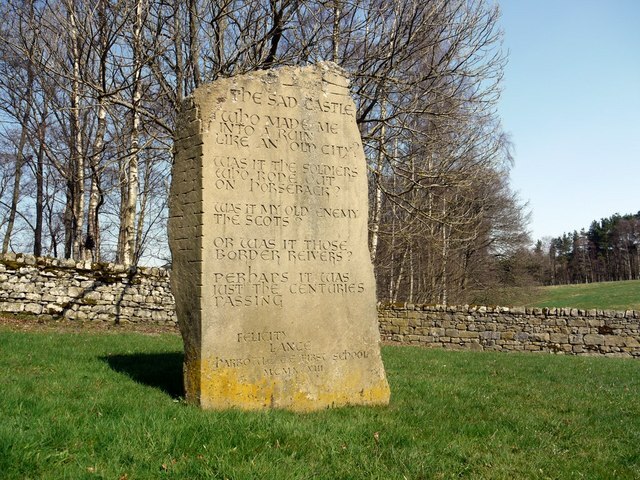 In 1515 Margaret Tudor, the widowed queen of James IV of Scotland and sister of Henry VIII, having been banished by the regent, the Duke of Albany, came to the castle with her second husband, the Earl of Angus. While there a daughter was born, who was also called Margaret. Margaret was to become the mother of Lord Darnley, the second husband of Mary, Queen of Scots, and grandmother of James VI of Scotland and I of England. Further building work took place between 1541 and 1551 and more repairs were made in 1563. In 1605 James I granted the castle and manor to George Home, Lord Treasurer of Scotland, but thereafter the castle fell into decay and much of its masonry was used in other buildings. 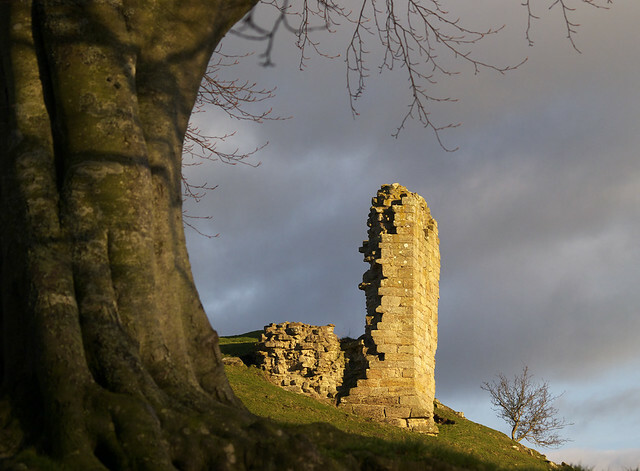 A survey of 1715 reported the castle to be ruinous once more. Today only earthworks and some standing masonry remains. 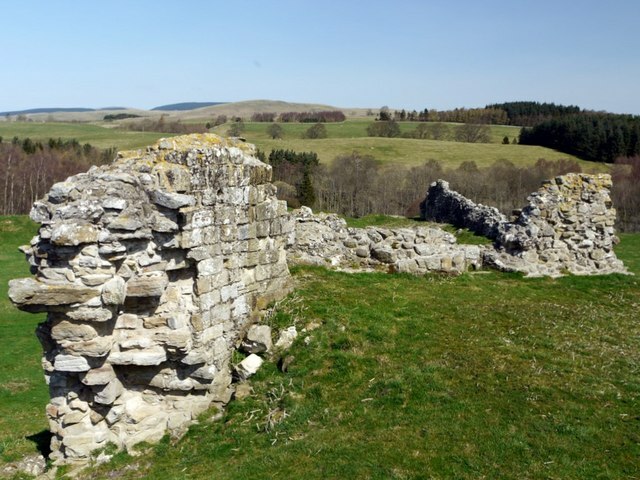 The site is run by Northumberland National Park Authority and entry to it is free. 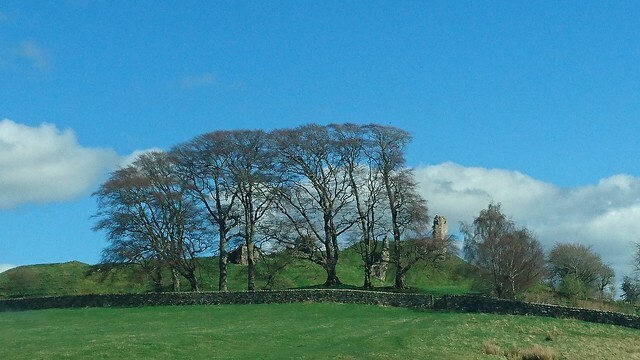 Harbottle Castle is a 19th-century mansion house situate at the east end of Harbottle village. Stone from the derelict medieval castle was used in the building of a 17th-century manor house. The manor was acquired by Percival Clennell in 1796 and in 1829 the house was replaced on the site with a two-storied five-bayed mansion designed by architect John Dobson for Fenwick Clennell. The house is protected with Grade II listed building status. 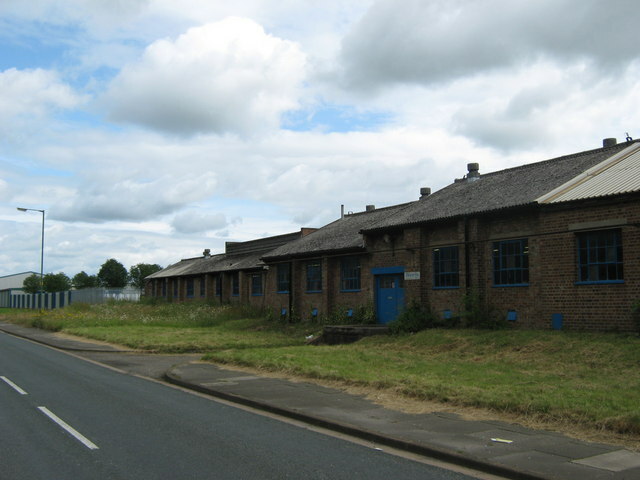 The stable block was converted into a separate house in 1890. Text from Wikipedia, available under the Creative Commons Attribution-ShareAlike License (accessed: 02/07/2016). 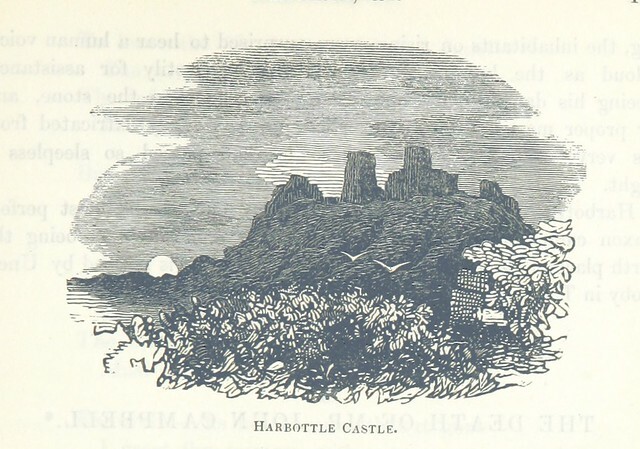 Visit the page: Harbottle Castle for references and further details. You can contribute to this article on Wikipedia. Who made me into a ruin like an old city? Was it the soldiers who rode out on horseback? Was it my old enemy the Scots? Or was it those Border Reivers? Perhaps it was just the centuries passing. Image taken from page 159 of 'The Local Historian's Table Book of remarkable occurrences, historical facts, traditions, legendary and descriptive ballads, connected with the Counties of Newcastle-upon-Tyne, Northumberland, and Durham. Historical Division.